Robin Ho Smartrade: KLSE - Reached trendline support at 1591. Expect rebound. 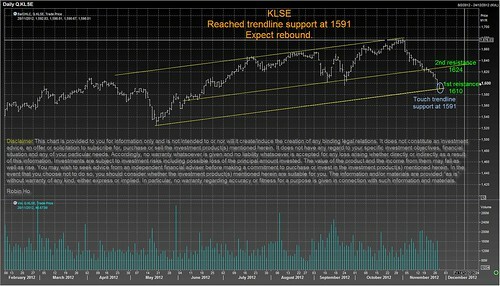 KLSE - Reached trendline support at 1591. Expect rebound.